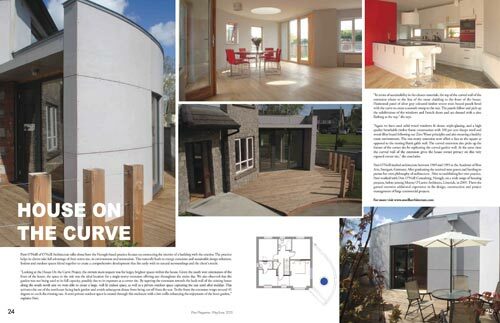 Feature article on O'Neill Architecture's 'House On The Curve' project. This article featured in Plan Magazine - May / June 2013. Patti O’Neill of O’Neill Architecture talks about how the Nenagh-based practice focuses on connecting the interior of a building with the exterior. We help our clients take full advantage of their entire site, its environment and orientation. This naturally leads to energy conscious and sustainable design solutions. Indoor and outdoor spaces blend together to create a comprehensive development that fits easily with its natural surroundings and the client’s needs. ‘Looking at the House on the Curve Project, the owners main request was for larger, brighter spaces within the house. Given the south west orientation of the front of the house, the space to the side was the ideal location for a single-storey extension offering sun throughout the entire day. We also observed that the garden was not being used to its full capacity, possibly due to its exposure as a corner site. By tapering the extension towards the back wall of the existing house along the south north axis we were able to create a large, well lit indoor space, as well as a private outdoor space capturing the sun until after midday. This activates the use of the north east facing back garden and avoids subsequent disuse from being cut off from the sun. To the front the extension wraps around 45 degrees to catch the evening sun. A semi-private outdoor space is created through this enclosure with a low trellis enhancing the enjoyment of the front garden. ‘In terms of sustainability in the materials, the top of the curved wall of the extension relates to the line of the stone cladding to the front of the house. Horizontal panel of silver grey coloured timber veneer resin bound panels bend with the curve to create a smooth sweep to the rear. The panels follow and pick up the subdivisions of the windows and french doors and are dressed with a zinc flashing at the top,’ she says. 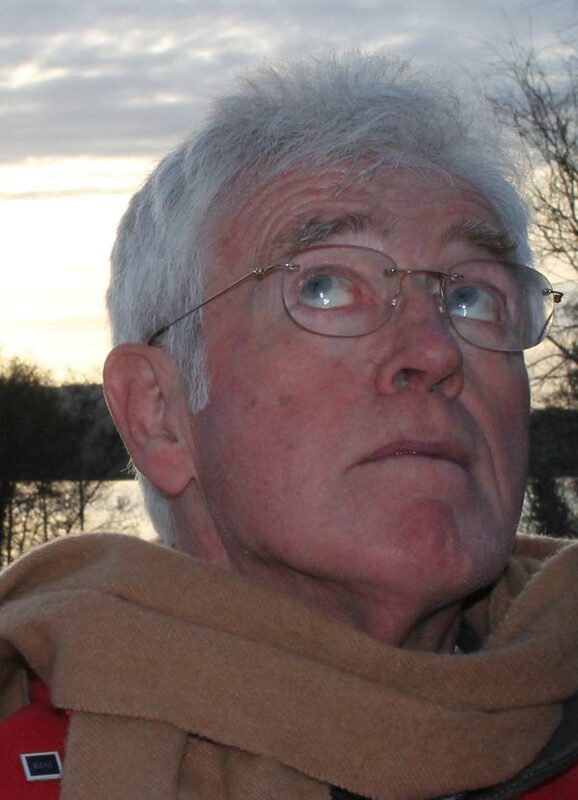 ‘Again we have used solid wood windows & doors, triple-glazing, and a high quality breathable timber frame construction with 100% sheepswool and wood-fibre board following our Zero Waste principles and also ensuring a healthy room environment. The one-storey extension now offers a face to the square as opposed to the existing blank gable wall. The curved extension also picks up the feature of the corner site by replicating the curved garden wall. At the same time the curved wall of the extension gives the house owner privacy on this very exposed corner site,’ she concludes. Patti O’Neill studied architecture between 1989 and 1995 at the Academy of Fine Arts, Stuttgart, Germany. After graduating she received state grants and funding to pursue her own philosophy of architecture. Prior to establishing her own practice, Patti worked with Don O’Neill Consulting, Nenagh, on a wide range of housing projects, before joining Murray O’Laoire Architects, Limerick, in 2005. There she gained extensive additional experience in the design, construction and project management of large commercial projects.